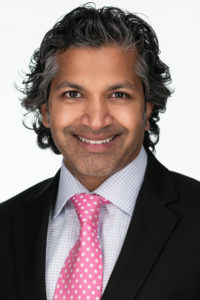 (Issued SPRING 2019) — When asked why he loves practicing Orthodontics, Dr. Will Murthy compares himself to the iconic lead character on the TV show MacGyver who solved every problem with skill, creativity, and resourcefulness. This year marks ARCH’s 45th anniversary. The practice was founded in Stoughton by Dr. Chase’s father, Dr. Robert Chavez, and now has nine offices from Boston to Cape Cod. ARCH offers a free initial consultation and interest-free financing. Courtesy discounts are offered to anyone serving in the military and their families and veterans, and to municipal employees and their families in towns served by the practice.